Is Your Sleeping Position Causing Breakouts? Could your sleeping position be causing blemishes? 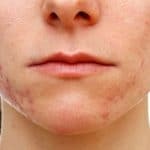 If you’re struggling with spots or acne, you may have considered changing your skincare routine, eating healthier foods and cleaning your makeup brushes more often. However, have you contemplated your sleeping position? In this article, we take a look at how your sleeping position could be affecting your face and what you can do to avoid getting blemishes. Getting a great night’s sleep helps your mind and body to rest so you’re in optimum health. But, is your pillow doing your skin more harm than good? If you sleep on your front or your side with your face nestled in your pillow, your skin is susceptible to spots. This is because your pillow harbours bacteria. Did you know that after using your pillow for more than a week, your pillow can contain more bacteria than a toilet seat? 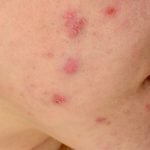 These bacteria then transfer to your face which can become a breeding ground for pesky blemishes. If you don’t use pillowcases, it’s time to throw your old pillows out. Use a pillowcase and ensure you change it at least once per week. As it’s difficult to alter your sleeping position, this is the most effective option. It’s also best to change your bedding once a week too so your sleeping area is completely clean. Wash your bedding at a higher temperature than you would your clothing to kill germs and bacteria. Your phone can also harbour bacteria so clean the face of it regularly with an anti-bacterial wipe or a little anti-bacterial gel. It’s also important to regularly clean your makeup sponges too and replace them when required.